Two days in, and Spring has already been very good to me. A little sun, a little rain, and a lot of cleaning out. 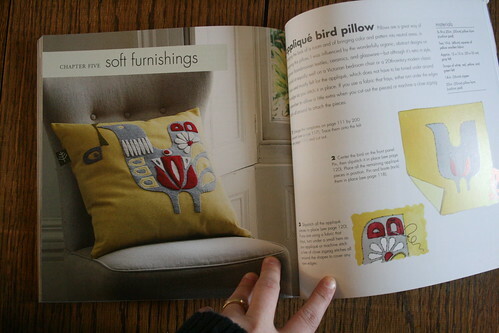 Fueling my fire, are pages from Scandinavian Needlecraft by Clare Youngs. Lovely. Some of the designs trend towards winter and Christmas, but there is plenty of Springtime inspiration. I would like to whitewash my life. I think this pillow my be my next handwork project-- but with more white. There are plenty of projects for all skill levels: basic running stitch projects to floral cutwork and beautiful, simple designs worked entirely in french knots. The instructions are very thorough and there are loads of additional diagrams. Not everything is handwork either; there are some nice projects using basic machine stitching to embellish. 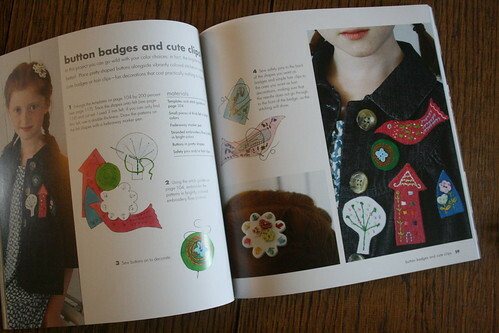 You could use this book just for embroidery embellishment or for project construction (like slippers, stockings or table linens), start to finish. 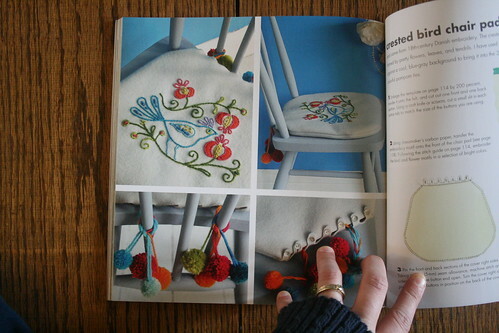 I'm mostly impressed with the number of projects-- there are 35 in all-- and how beautifully the book is styled. It is absolutely coffee table worthy. Or better yet, the perfect accompaniment to a bit of fika with friends. We have a couple of these books on hand as well as whole shelves of beautiful wool felt, linen, and embroidery supplies to get you started.